Wow, another weekend over....time flies whether you're having fun or not! Today's card is another Digi for the Progressive Challenge over at the Crafter's Digital Art Center. You sign up and you receive 6 free digi's, use them and post them on the site or your blog or both and link to the challenge. Very fun card...and the sentiments make this card shine! Somehow the chef looks dimensional. It must be your coloring. Fantastic! what a beautiful and great card sue. Sue - this is absolutely wonderful! It's great to see my image come to life like this. Thanks for sharing! 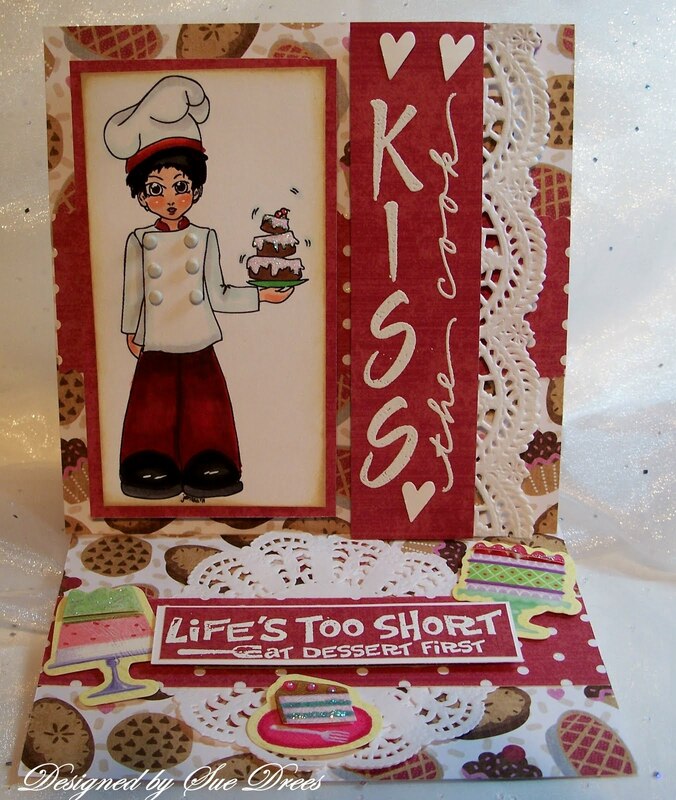 Yummy card! 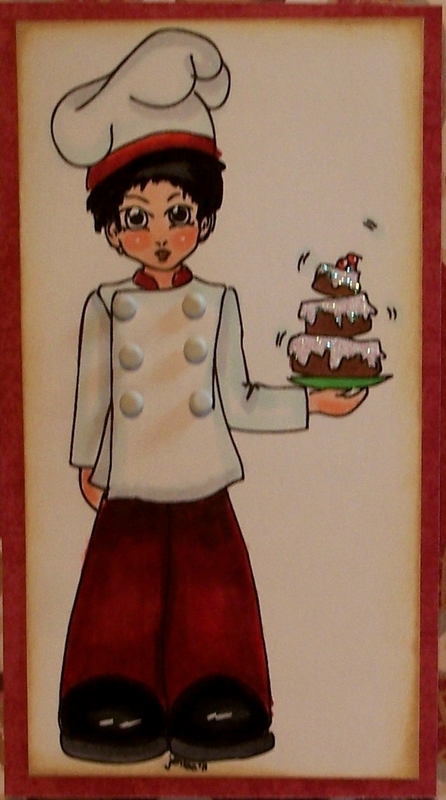 Love how you colored that chef!